A holiday all sun and relaxation is not for you? At sea you want to alternate days of shopping and visits to museums and palaces? Raining outside? Caorle is located near many major cities and you should visit the Venetian cities: shopping, culture and entertainment. 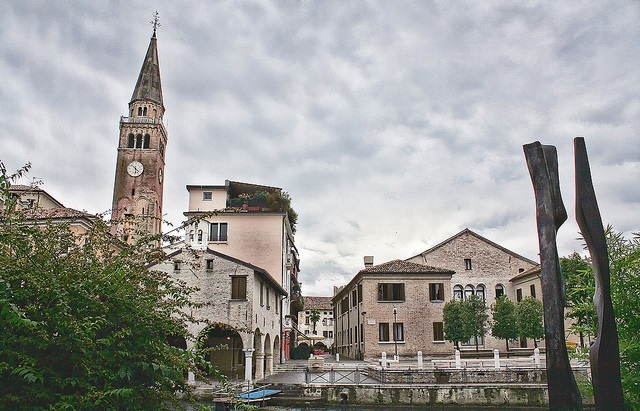 Discovering the Roman Veneto: Portogruaro, Concordia and Oderzo. Do you love history and archeology? 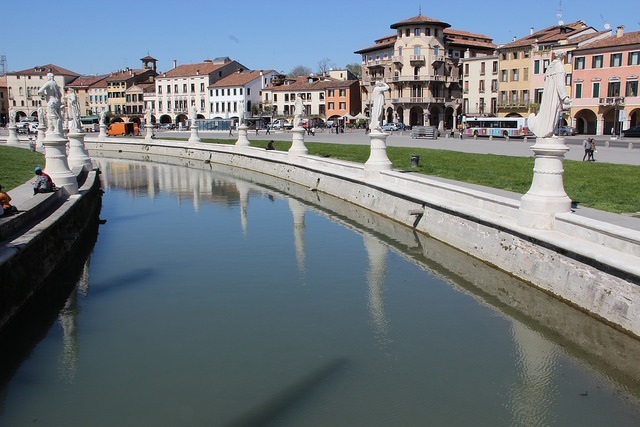 Portogruaro, Concordia and Oderzo are the perfect destination for you. In Concordia there are many excavations of Roman inside of Palazzo Municipale and the Archaeological Museum of Concordia in Portogruaro. A visit to St. Stephen’s Cathedral and the Baptistery. Portogruaro is a beautiful city crossed by many porches. To visit: the Archaeological Museum and the Paleontological Museum “Michele Gortani”. A visit at the beautiful cathedral in the city center, containing works by Palma il Giovane and Pomponio Amalteo. We recommend a visit to the abbey of Summaga the X-XI century only 3 kilometers from Portogruaro. Oderzo, in the Treviso province, it is a beautiful place where you could walk under the arcades and visit the Roman remains that are located in different areas of the city such as the Roman Forum Via Roma and Via Mazzini and the area between Piazza Grande and Piazza Castello.You should visit the Archaeological Museum Eno Bellis and the Art Gallery at Palazzo Foscolo. A visit to the cathedral which is located in the central square and then a spritz to complete the day. Museum of Natural History for a trip from dinosaurs to the present day. Sea Life to be charmed by the turtles, sharks and many species of fish. Real Bodies open until 20 September open every day from 10.00 to 22.00 (last admission at 21:00). Tropicarium: penguins, sharks, crocodiles and much more. We recommend the ticket promotion Tropicarium Park + Real Bodies. A day in Venice to discover this beautiful city: the magnificent St. Mark’s Square to see the Basilica of San Marco and the Palazzo Ducale. A photo of the Rialto Bridge, a visit to the Scuola Grande di San Rocco and more. Advantage of your stay in our villages to go to Expo Venice, the big collateral event of Expo Milano dedicated to water. If you would rather spend the afternoon shopping the shopping malls recommend “Nave de Vero” and “Auchan” both in Mestre or at the mall “Valecenter” Marcon-Dolo. Cappella degli Scrovegni is one of the most important of Padua, it houses a cycle of frescoes by Giotto. Civic Museums, which includes the archaeological museum of medieval and modern art, among the most important: the Crucifix by Giotto, works by Tintoretto and Tiepolo. Basilica of St. Anthony. Inside the “Treasure of the Basilica” with the Saint’s relics. Palace della Ragione which overlooks the beautiful Piazza delle Erbe. We should visit the frescoed interior. Prato della Valle, the beautiful square of Padua, the center of life of Padua is worth a visit with the umbrella. Palazzo del Bo, with guided tour of the Anatomical Theatre and the chair of Galileo Galilei. We suggest you to visit the beautiful Villa Pisani and Villa Foscari in Riviera del Brenta. Contact us now to book your apartment and take the opportunity to visit this wonderful city.